The Arab Centre for the Studies of Arid Zones and Dry Lands (ACSAD), founded in 1968, is one of the 7 Arab Organizations working within the framework of the League of Arab States. Under the umbrella of the Arab League, the Centre is established in Douma as a research institution aiming at the promotion of applied national research studies and regional cooperation. ACSAD operates through 6 Departments and 4 Experimental Research Stations; as well as divisions for Remote Sensing and Geographical Information System (GIS), Information Technology and Computer Science. ACSAD conducts studies required to rehabilitate and conserve fragile and vulnerable ecosystems in arid zones and dry lands. Its activities focus on the appropriate use of natural resources and on the improvement of the living conditions of local communities in rural areas. The centre’s activities target the development of needed strategies for the rehabilitation of degraded areas, conservation of natural resources and their protection; the development of local, national and regional capacities through technology transfer and cooperation and the establishment of an interactive platform for information dissemination and knowledge exchange. Since early 80s, the Deutsche Gesellschaft für Internationale Zusammenarbeit (GIZ) framework has integrated components on resource management in arid zones as well as desertification control. This sector has been more significant after the ratification and signature of the UNCCD in the mid 90s. The UNCCD came to raise awareness among policy makers, public and private agencies and local communities of the growing threat to natural resources in arid zones in the African, Latin American and Asian countries. The German technical cooperation (GIZ) jointly with ACSAD undertook joint Conservation Agriculture (CA) projects in Lebanon. The objective is the promotion of conservation agriculture in Lebanon, in collaboration with the American University of Beirut (AUB), the Ministry of Agriculture represented by the Lebanese Agriculture Research Institute (LARI) in Tel-Amara, Bekaa, and farmers; and with the involvement of farm service providers and input suppliers. More in-depth research at the Agricultural Research and Educational Center (AREC) and LARI station also took place from the start of the project and this was also accompanied by on-farm trials. While in the first season 2007/2008 two pioneer farmers participated, covering an area of 40 dunum (4 ha), the number and acreage increased in the season 2008/2009 to more than 20 farmers in 13 locations covering 5,620 dunum. During the season 2009/2010 the acreage increased to more than 11000 dunum. Only on the Skaff farm in Ammik barley yielded more under CA than under conventional production. However, the difference in yield was not significant (720 compared to 693 kg/ha) In the 2nd season 2008/9 yields trends were similar. Barley yields were lower under CA compared to CV, while vetch produced more. Best results were obtained with a mixture of barley and vetch, which produced 32% more biomass at AREC (45 versus 34t/ha). Reasons for the lower barley yield may be due to the high weed infestation in the early season. However the expectation is that yields will increase with the years under CA, due to improved soil quality. Stopping ploughing and planting directly through soil cover reduces losses through evaporation of precious rain or irrigation water. In the first year the soil moisture content was slightly higher under CA, and it is expected to further increase with the years. Increases at harvest were significant, at a depth of 0-60 cm. This is an important aspect for subsequent summer crops. The data of the first two years indicated that, with time and under good management weed infestation goes down in the CA cultivated fields and becomes less than the infestation in the conventionally cultivated fields. Weed population also changes, depending on the crop rotation. After two years of applying CA at AREC, it was found that weed infestation in a barley-vetch field was significantly lower under CA system than under CV. Earth worms are a good indicator of soil life. A living soil is a precondition for high productivity. The number of earthworms increased at AREC within only two years after the introduction of CA, from 1 to 5.7 earthworms/m2. 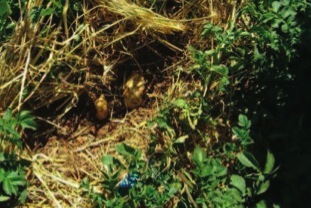 Similar results were obtained on the Skaff farm in Ammik, which is a good indicator for improved aeration and fertility of the soil. A high biological activity helps to improve the soil structure. Earthworms help decomposing plant residues in soil (verticompost), increase organic matter in soil, and produce macropores, which improves water infiltration and aeration. The reduction of production costs is the most attractive advantage of CA for farmers. Production costs are reduced from the first season on, especially costs of fuel, seeds and labour. By using a precision drill, seed quantities were reduced substantially, in some cases up to 30%. Additional costs for herbicide application may arise in some cases, when fields are heavily infested with weeds. Cost of production of field crops was about $ 350/ha less in CA than in conventional agriculture. As crop yields are in most cases equal or slightly higher, farmers will obtain higher net revenues when applying CA (40 $/Dunum for barley and 56 $/Dunum for barley-vetch mixture). Irrigated summer crops like maize for silage, potatoes or vegetables are part of the crop rotation in the Bekaa. Trials with direct planting of maize and drip irrigation, at AREC and Ammik, are very promising. Water use can be reduced by approximately 60 % when drip irrigation is applied, compared to sprinkler irrigation. 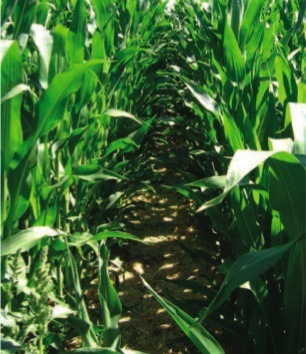 Drip irrigation produces a homogenous maize field with lower weed infestation and higher yield. At AREC a first experiment with potatoes under No-till (CA) system was planted in 2009, with good results. For large scale application the results of the trials need to be further developed. Farmers traditionally till the soil of orchards once or twice per year to minimise competition for water by weeds. However this practice is not only costly but also favours soil erosion and risks injury of the tree roots in top soil layer thus reducing root activities and favouring root infection by fungal diseases. 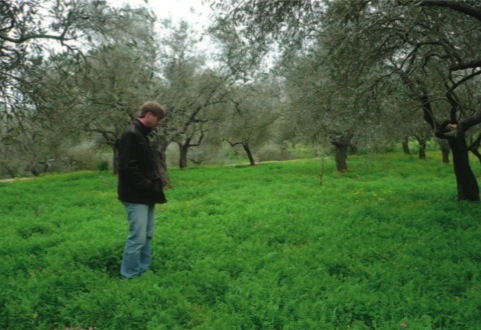 Lebanese farmers see the need for a change in managing olive plantations. In the north-western part of Lebanon, Akkar and Khoura, some trials under olive trees were undertaken using clover, vetch and clover/vetch mixture as cover crops to protect the soil and at the same time to improve the soil properties. The first years results were very promising and the farmers proved keen to extend the trial over a large area of plantations. There is an increased interest in CA by all stakeholders of the agricultural sector in Lebanon. The number of farmers wanting to change to CA is growing. Farmers who are already practicing CA more than doubled the acreage in 2009/2010 to 11.000 Dunum. Not only farmers but also farm services providers and dealers in agricultural machinery and seeds show interest in CA. 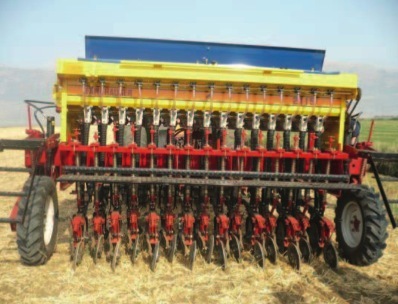 A farm service provider in Zahle purchased two highly advanced direct drills in order to meet the demand of the farmers. In 2010 five direct drills were already available in Lebanon, two Fankhauser, two Väderstad and an American (“Great Plains“) machine. Professors at the Faculty of Agricultural and Food Sciences of the American University of Beirut (AUB) are integrating CA in their teaching, and the faculty is planning to develop a CA programme in its curriculum. With the positive results and especially with the economic benefits of CA being visible to the farmers, CA will continue to grow in Lebanon and will be more and more accepted as a way towards sustainable agriculture and environmental protection. There will still be a need for continued practical and farmers need regular provision of information, good extension services, qualified extension officers, access to farm services, including appropriate machinery. Finally, the market in Lebanon also has to continue to remain conducive for CA agricultural practices to continue growing and expanding (including agricultural and market policies).